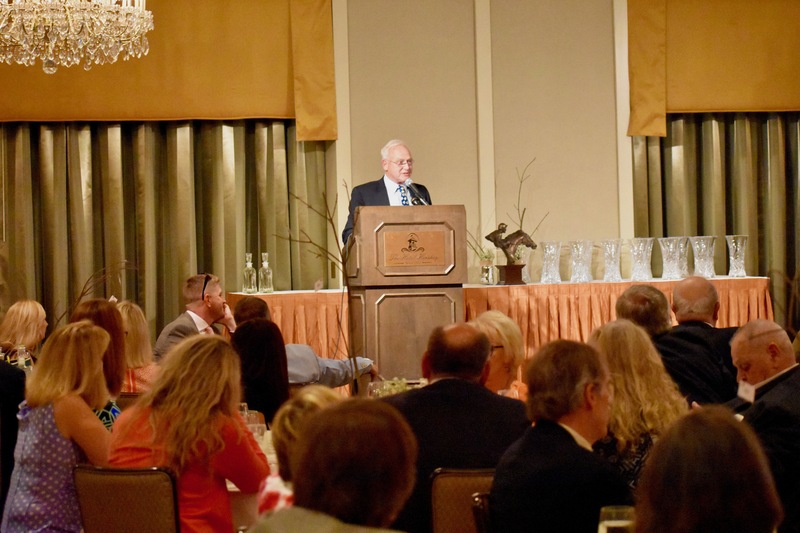 Those who participate in thoroughbred horse breeding and racing know that it can be unbelievably exhilarating or an unforgiving, unpredictable arena. Just the minute you think you have it figured out, some humbling occurrence ensues making you wonder how on earth you got into such a tough business (sport). So when events take a benign, favorable turn, one tries to enjoy the glow for as long as possible to blunt the inevitable future valleys of gloom. 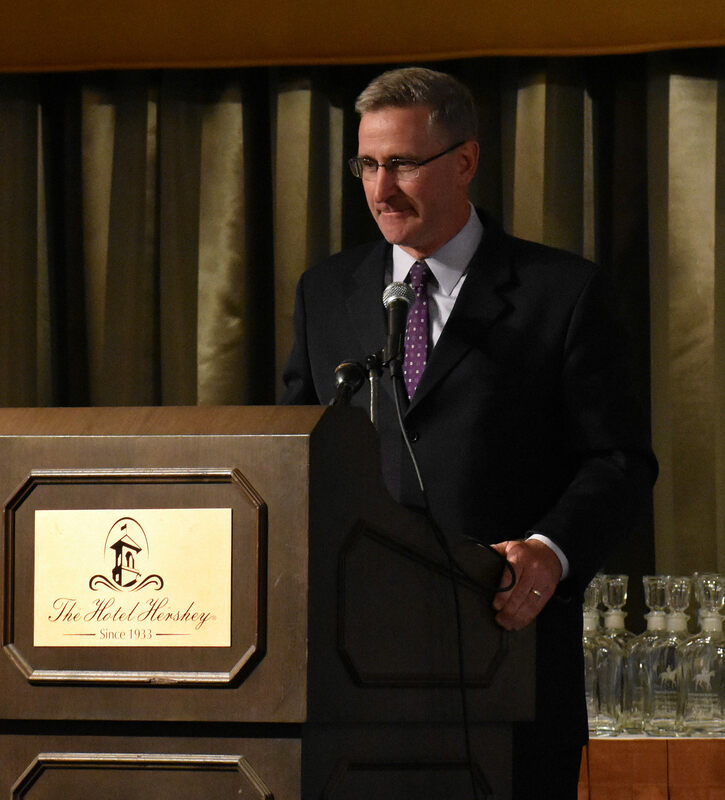 The finalists for the Thoroughbred industry’s Eclipse Awards, equivalent to Hollywood’s Academy Awards, were announced this week. Finest City, a four year old, PABRED filly by City Zip is one of the three finalists for the Female Sprint Category. 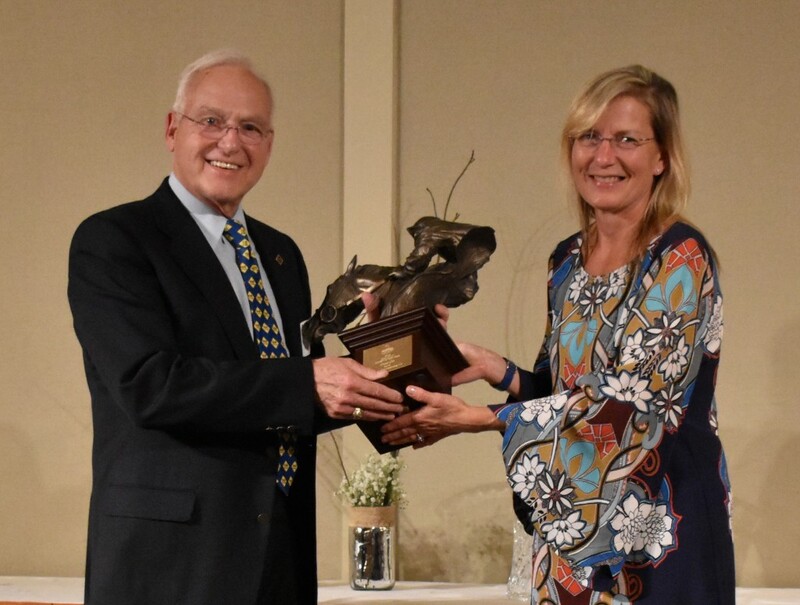 Given her accomplishments and victory in head to head competition over her rivals, Finest City has an excellent chance to add an Eclipse Trophy to her growing list of honors. As her breeder, it was thrilling to see Finest City win the 2016 Breeders’ Cup Filly and Mare Sprint in November at Santa Anita Park. Though the exhilaration of the moment has faded, a quiet, enduring and sustaining satisfaction remains as a reminder of why involvement with thoroughbreds can be so rewarding. 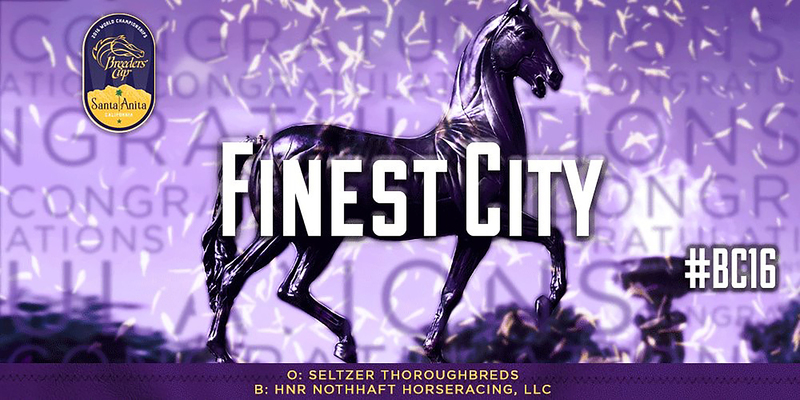 The breeding of Finest City was the direct result of my efforts to create a well pedigreed, race proven, black type broodmare band for Breeders’ Cup Champion Silver Train., who I purchased from Vinery in Kentucky to stand at Northview in Pennsylvania. 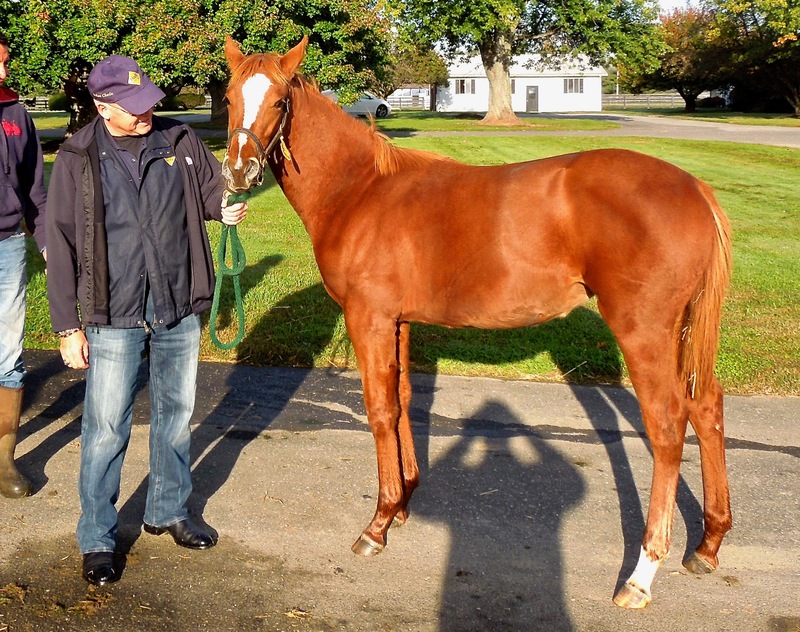 I was ably assisted in this quest by Bloodstock Agent Carl McEntee, then of Northview PA, now of Darby Dan Farm in KY. It also was not a “fluke” in the sense that a great deal of thought and effort was applied to the process of acquiring the mare Be Envied in foal to City Zip that produced Finest City. Be Envied’s enviable resume—she’s a half sister to grade I winner Burning Roma— is full of class, flawless, elegant, impeccable top and bottom complimented by her sire, Lemon Drop Kid. In my opinion, Lemon Drop Kid, an emerging leading broodmare sire, should get credit for producing horses that can run extremely well on all surfaces at classic distances. Due to many hours pursuing various mares, Be Envied was purchased at the bargain price of $37,000 at the 2011 Keeneland November Sale. This was the result of spending several days analyzing pedigrees of mares in the catalogue, inspecting them, assessing physical fit with Silver Train, creating our short list, bidding on our top picks, often getting out bid or hitting our budgetary limits. 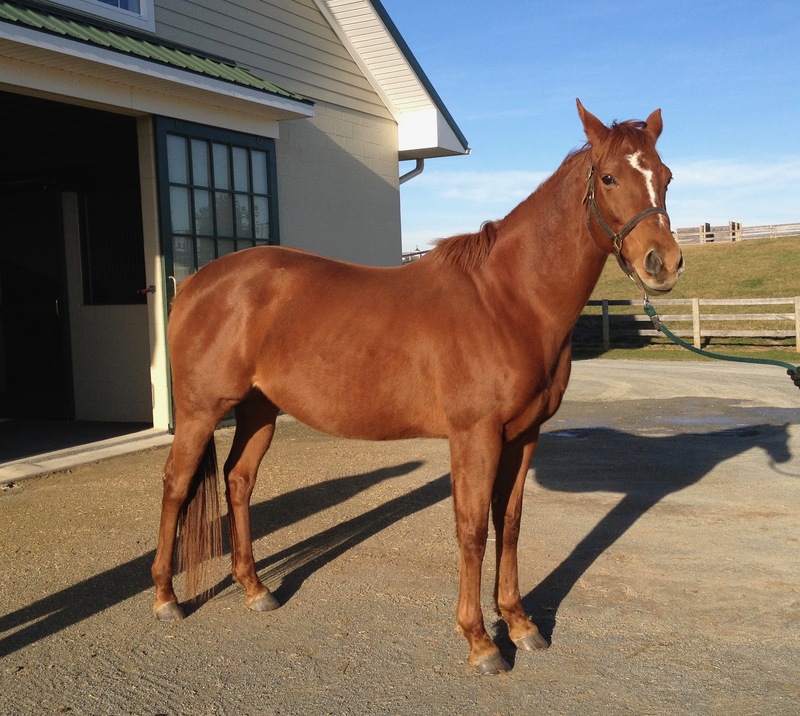 We ultimately purchased three mares in foal during the Keeneland November 2011-mixed stock sale. However, no more or less effort went into the decisions, preparations and care of Finest City than any of our preceding or subsequent breeding decisions. Our goal was to buy mares compatible with Silver Train whose foals could be kept for racing or sold for at least what we paid for the mare in foal, thus recouping our investment in the first twelve months. We actually exceeded this goal by a wide margin. On the other hand, winning the Breeders’ Cup was never discussed, not to mention that the odds of this occurring are lottery like. More discussion on Breeders’ Cup odds later. Therefore, when Finest City won the Breeders’ Cup, it was not fulfillment of a dream, because this was not a dream we ever dared dream. From the time of her birth, Finest City was a beautiful, well-balanced athletic filly. The fact that Finest City looked very commercial and could command a handsome price influenced my decision to sell her rather than keep to race. As a technology entrepreneur trying to transfer his skills to the “Horse Business”, I viewed this as a good opportunity to generate some cash flow, nothing more or nothing less. This was a change of heart, since I already named her City Envy to honor her Sire and Dame, in anticipation of racing her. As a result, Finest City (AKA City Envy) became the first horse that I bred and sold at auction, highlighting my status as a novice breeder. Subsequently, we’ve had the good fortune of selling several additional weanlings at Keeneland for six figure sums up to` $250,000. All their pedigrees are similarly attractive as Finest City and were nearly flawless physical specimens. So far, none have come close to Finest City’s accomplishments though some have shown promise. 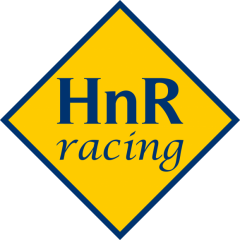 We also bred a number of horses from the Silver Train program who are just plain average and have produced results within industry norms, not to mention a few who had physical issues that precluded any racing career at all. I mention this only to highlight the obvious, that a powerful pedigree and physical perfection don’t necessarily correlate to racing success. Soundness, the intangible competitive fire of the horse, intelligence, timing and luck all play a role. 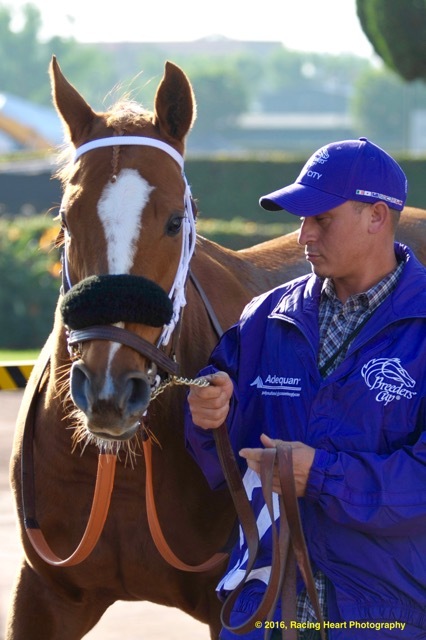 So how long were the odds for a PABRED Breeders’ Cup Winner? First there have only been four PABRED Breeders’ Cup Champions, including Finest City, since the Breeders’ Cup’s initial races in 1984 at Hollywood Park, CA. The other three are Go for Wand, Tikkanen and Alphabet Soup. 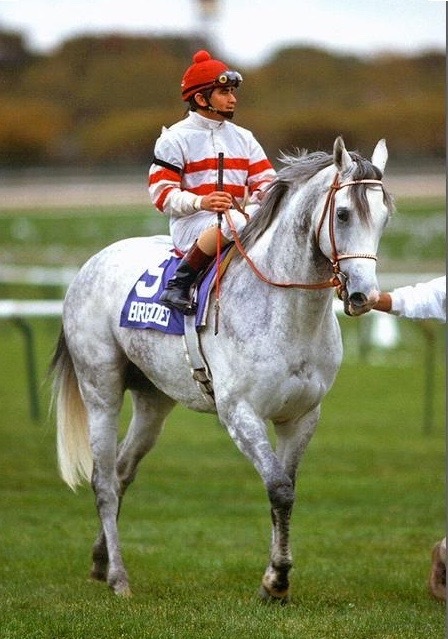 The great two times Eclipse Award winning Go for Wand is the initial PABRED Breeders’ Cup winner, having won the 1989 Breeders’ Cup Juvenile Fillies at Gulfstream Park. A Christiana Stable homebred by Deputy Minister, she entered the Hall of Fame in 1996, fueled by 7 Grade 1 wins in 13 career starts. Harry Lunger and his wife Jane DuPont Lunger founded Christiana Stables, named for the community of Christiana, Delaware, in 1937. Having campaigned at least 45 stakes winners, these are the type of breeders and owners that you expect to win a Breeders Cup. Oddly, I have a personal connection to the Lunger family that strikes me as at least a strange coincidence. While serving in the U.S. Marine Corps in Vietnam in 1968-1969, one of the officers I worked closely with was Lt. Brett Lunger, Jane and Harry Lunger’s son. Brett, a very dynamic and energetic leader, went on to be one of the first American drivers in Formula 1 in 1975. Maybe some good karma got passed via this relationship. Tikkanen is the 2nd PABRED Champion via his win in the 1994 Breeders Cup Turf at Churchill Downs in KY with Mike Smith up. 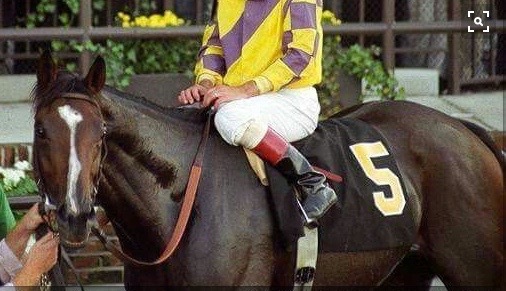 Tikkanen, a homebred like Go For Wand, sired by Breeders’ Cup Mile Winner Cozenne, was bred and campaigned by George Strawbridge, Jr., a perennial leading breeder in PA and a person who you would expect to win a Breeders’ Cup Championship Race. The third PABRED Breeders’ Cup Champion is the beloved Alphabet Soup who won the Classic in 1986. 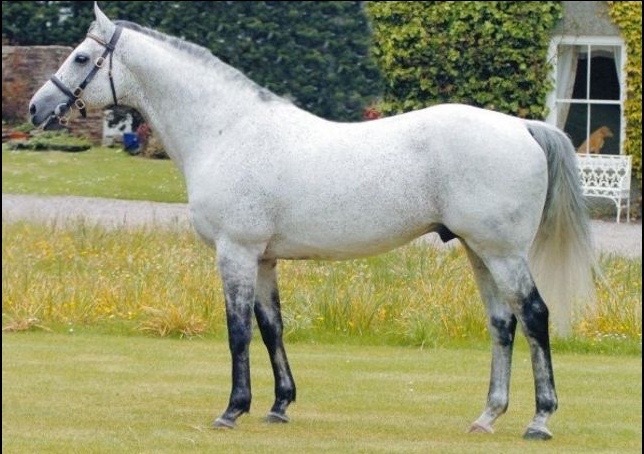 He was also sired by Cozenne and became one of Cozenne’s 14 millionaire offspring including Tikkanen. Southeast Associates, headed by Roy S. Lerman, bred and sold him privately to Californian Georgia B. Ridder as a two year old. In a 24 Race career that netted him earnings of $2.990,270, Alphabet Soup only raced twice outside of California. In the Breeders’ Cup Classic at Woodbine, ON, Cigar, tried to become the first horse to win the Breeders’ Cup Classic in consecutive years, but fell short by a half-length, finishing third in his farewell race, behind 20-1 shot Alphabet Soup under Chris McCarron, who bested Preakness Stakes winner Louis Quatorze by a nose. 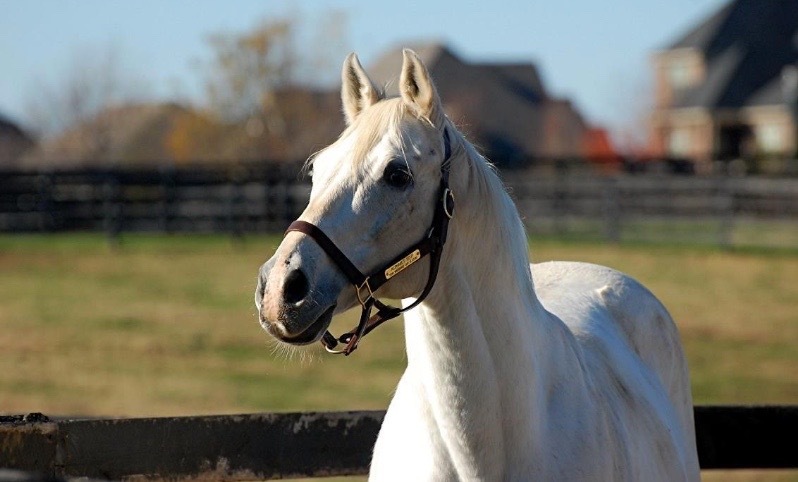 Alphabet Soup went on to stud duty until his retirement to “Old Friends” in Lexington, KY.
After a twenty-year hiatus, Finest City became the 4th PABRED Breeders’ Cup Winner with Mike Smith up, giving him claim to riding 50% of PA’s Breeders’ Cup Winners. 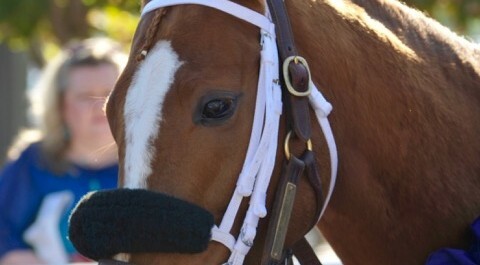 Like Alphabet Soup, owned by a Californian, Finest City has never raced outside of CA. Speaking of 50%, Finest City ended up with an up and coming young trainer (28 years old) Ian Kruljac, whose total career starts total 24 of which 14 are Finest City. 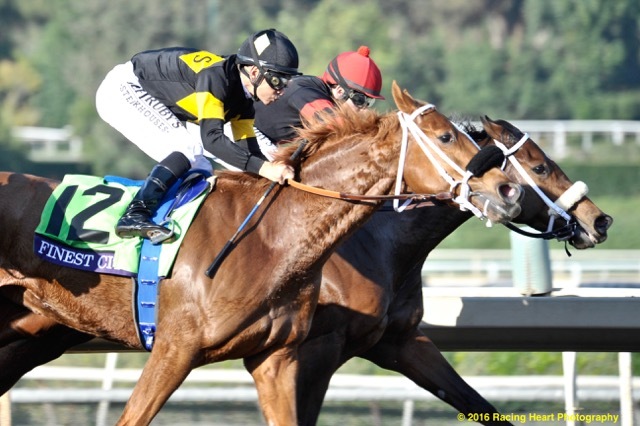 Always in the hunt after breaking sharply from post 12 in a field of 13, Finest City and jockey Mike Smith held off the oncoming Wavell Avenue to prevail by three-quarters of a length. Paulassilverlining was third, another 1 1/4 lengths back. Paulassilverlining is one of Finest City’s chief protagonists for this year’s Eclipse. Let’s take a look at some of the raw numbers involved in winning a Breeders’ Cup Race with a PABRED to see how daunting a task it is. Since its’ inception, there have been 288 Breeders’ Cup Champions, 4 from PA (no adjustment for repeat winners) or 1.4%. These 288 champions had to vanquish a total pool of horses estimated to be around 3000 of the best horses in the world. Since 1996, the last time a PABRED won, there have been 214 winners including one by Finest City or about .5 (1/2) a percent. Let’s look at the numbers from a PA perspective. 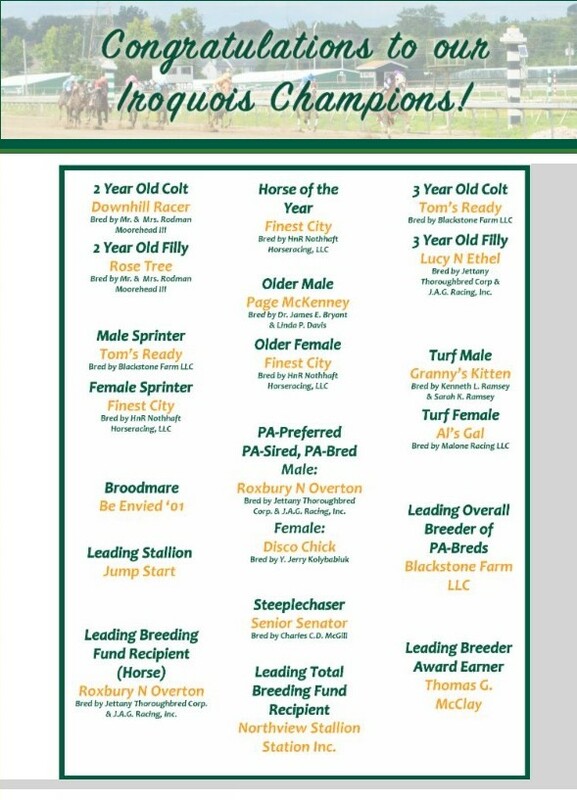 Since 1995 there have been approximately 23,000 foals born and registered in PA. Of this pool, roughly 14,500 made at least one start in a race. This makes Finest City 1 of 23,000/14,500 respectively. The percentages are obviously miniscule: less that one ten thousandth in both categories (0.00004/0.00006). Assuming the foal crop is 50% fillies, the percentages remain less than a ten thousandth. 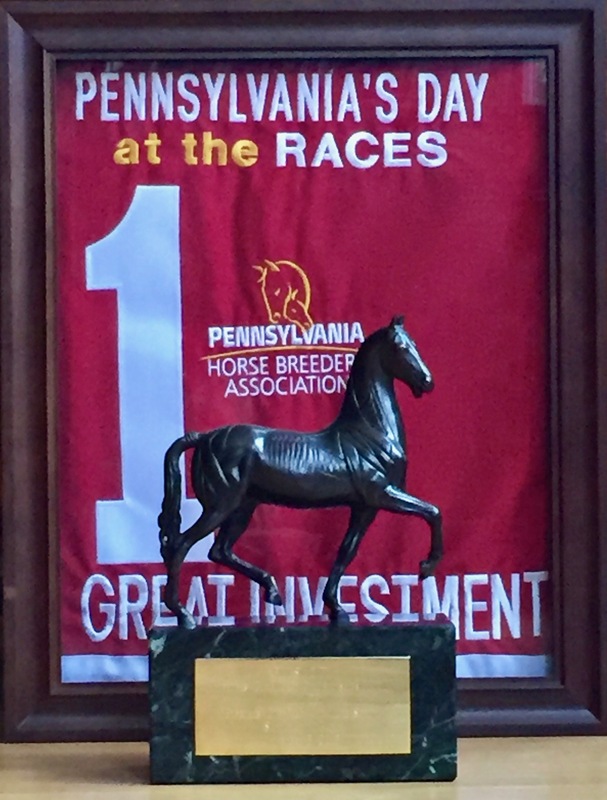 From a national level the odds are even longer since PA generally produces less than 3% of the registered crop (Range 1995 to 2015-2.2% to 5.4%) Then of course, globalization means that horses from 19 other countries were entered in the 2016 Breeders’ Cup. This makes the mountain even higher. The long and short of these numbers is that PABRED Finest City winning the Breeders’ Cup was a tall order overcoming stratospheric odds. Then again, to be a thoroughbred breeder is playing the DNA lottery, though breeding the “best to the best” reduces the odds a bit, the odds remain extremely long. There’s always the real possibility for inexplicable magic to occur. One look no further than the amazing California Chrome, the result of breeding a mare by a regional sire who won an $8,000 maiden claiming race in a 6 race career that netted $7,000 and an E number of 64, to a sire standing for a $1500 stud fee, and two guys who dreamed the big dream. As long as the chance exists to create the wonder of the “next big horse” the art, science and mystery of thoroughbred breeding and racing will continue to produce the inexplicable and attract a large, broad range of optimists.